I have enjoyed procore pretty well. Anytime I’ve ran into bumps along the road the support team has been very responsive. Thank you! Crashes a lot. Nobody on my whole crew can update the app. It has said unable to download app for 2 months. Would be good but I consider it an unfinished app. Must be developed by a video game company. I’m a superintendent and have to use the app for pictures I like everything about it, with the exception of having to have the app open and running. I would gladly give it 5 stars if I could select my pictures and have the app upload the pictures in the back ground while I’m multitasking on other parts of my project. I have upload that for almost a week it’s still loading up! I call support they tell me to delete it. That will mean to redo all the inspections I did .I am not able to bother the tenants again! The other item is that you have to take a picture at a time. I want to take as many picture of the room then save it. It’s too restrictive. Procore is an awesome service that helps immensely with contract administration and documentation. Procore makes your projects more efficient, period. It’s ease of use is tremendously easy also. We are using Procore on a couple projects, this app is a big help on the site. Great Ap! So easy to use. 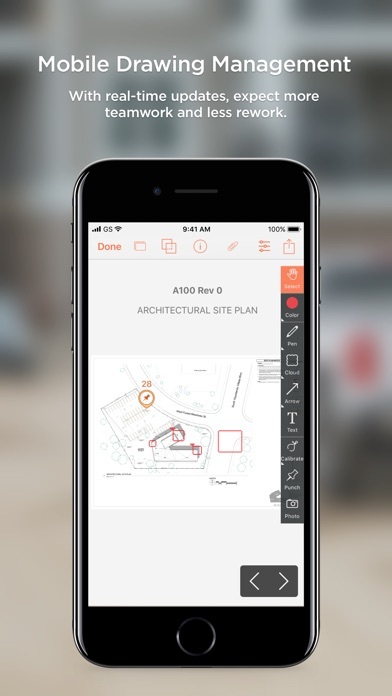 It really has been the best tool possible to bring the office to the job site and allow for Superintendents to have all documents at their fingertips! Great for creating Daily Reports! great for reading plans. Great for creat as-builts, rfi's, etc! A great app to use in the field, great to be able to access plans on the fly. The only improvement that would make it five star is a mode for project managers that would include the ability to set up PCO's in the field and the ability check the bidding on other projects. Apps syncs well with web app and multiple devices. Couple with Box gives unparalleled access to all my submittals, RFIs, and drawings. As a GC, we rely on this every day. Works great and customer service is top notch. Approx. 2/3 of all the drawings have large white blocks that appear randomly on the page. They haven’t given us a fix and until they do we cannot use in the field. The only reason we bought iPads was for this app and at this point we are very disappointed. I have used most of the construction software out there. I’ be taken the classes, read the recommended manuals and gotten a lot of sleep doing it. Construction by nature is far from boring, but construction software training....have you ever watched paint dry? ProCore is easy enough to use that if you have reasonable computer skills, know how to copy and paste, are comfortable with Excel, then you can use ProCore without requisite training. I’ve only found a couple of things that are hard to do. One is to upload a schedule into ProCore from Excel. I just tried to do this last week, only to discover that I need “ admin” priveledge to do so. The other is uploading photos from another source, like google photos. You. Can’t. You need to move your pix into your pictures then upload one by one to ProCore. If you try this on cellular wi-fi it’s going to fail 90% of the time. According to ProCore online help, that’s the nature of the beast. The rest of the software...pretty easy stuff. One of the best construction software platforms I've ever used. The equipment log is a nice feature, if it would categorize a list of entry dates. Instead you have to go through your logs by daily entries to find them. Too time consuming to backsearch start dates for rentals and time ins and time outs. Once again Procore made a horrible mistake making it extremely difficult adding text to pictures. Stop trying to reinvent the wheel. Don’t need to go through three screens to edit pictures. Takes to much and is stupid the way you made it. Make your next project easier! Great app to go with the online subscription to see your plans, specs, submittals and more on the fly! Here are a few problems that I have with the app: IPad App BUGS...Seems like there is a new one that gets in the way of production every day. Now I’m not going to act like it’s realistic to not have this many when you have so many different users across so many construction specialties..but we have had an almost daily problem with forms and changes loading across devices..and ALL of our devices are connected through Verizon 4G. YOU ARE PIGEONHOLED TO CERTAIN FORMS: Procore needs to add the ability for a user to create his or her own forms...period. I realize that it wouldn’t cover/please everyone, but adding the ability to create a template, complete with your own naming and FILLABLE/EDITABLE sections and then saving to Procore/sharing would make this application 1000X Better..Maybe this is a future project, but I really see Procore as a fantastic idea that is limited in its scope at the time and very buggy. We look forward to what Procore has to offer and hope improvements and new features are added sooner rather than later. Drawing Tool has been our favorite in the field. Also, I like observation report and daily report. 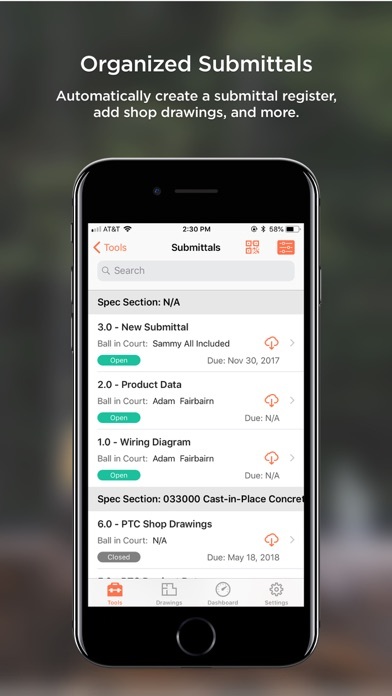 The procore app makes it so easy to keep up with what I’ve been doing on our projects. Sometimes I even feel like I’m able to do just as much from anywhere than being chained to my work desktop. Definitely makes it easier to work away from the office! By no means a replacement for the web version, but an awesome supplement. Invaluable for superintendents and field users. With the latest update the daily log and manpower log is no longer viewable in a numerical listing. There is no order to entries and no rational reason as to the crazy disorders listings. iPhone app is no longer easy to use. Extremely disappointing. As someone who's used Procore for many years, watching the app evolve over the years shows how much the company is listening to the user base. I'm looking forward to the upcoming changes, there's always things to fix, but solid 4 stars (or better!) ! Great app for keeping up to date while on the go. I am a project manager for a medium size GC in Nashville. We started using Procore about 1 year ago. Our experience with the software has been great. It has allowed us to easily manage our drawings along with drawing revisions and our own drawing mark-ups. We are also able to send RFIs from the field as well as view submittals and other relevant project data. Our Superintendents are also required to use the software for Daily Reports. 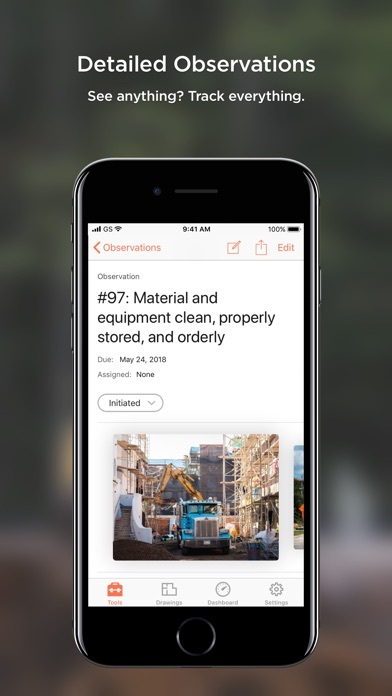 The Daily Reports or Daily Logs as Procore calls them are easy to fill out on the IPad and can easily upload photos of work in progress. When do we get to respond to RFI? The last two updates has froze app on IPad and iPhone. After two days iPad started working iPhone has not. In the new update you can no longer add the photos from your photo library you can only take the pictures. This makes the photo tool almost completely worthless at this point. Between this app and the website, everything you need to run a job and track everything. This software helps in countless different ways in the field. From the quick glances of drawings. Allowing superintendents new information as soon as the office gets it. We love this software. Procore has taken a poorly functioning app and has vamped it up to create an app that won't even open. Clicking the application opens a white screen that appears for a few seconds before closing out and going back to the home screen. We're really getting frustrated with this. There are way to many updates. 3 or more a week is a bit excessive. The iPad version will not auto download plan or info updates and it takes forever to have to manually go through every set of plans, submittals, RFI’s, etc. to do it. I use it, but I’m not greatly impressed. I have issues losing data, and pictures. I wish the app was more like the computer program, can we try and get it to work more like the program? I really think that it can be a beneficial app, just needs more support. I never want to go back to life before I got Procore!!! Every aspect of Procore is wonderful- the product, value, easy to use, the company and staff, and the support is legendary! The app is updated all the time with new features and my team loves working in it. It’s worth every penny, and ends up cheaper than most other comparable options out there. Won’t open with the most recent update. Please fix now!! When will we be able to use hyperlinks in drawings to view details, cuts and enlarged plans? There are way too many bug and errors with the iPad/iPhone application of the software. It seem like every other day I’m checking for an update so issues can be resolved with RFIs, Submittal, Punchlist posting to drawings. Please look into the ability to edit a cloud to add a RFI to it instead of having to deleting it all together and creating a new cloud that included the new RFI that you have to attach. Not sure if you can do anything about the strengthening the signal capabilities but in many cases were building concrete and steel structures that limit the signal capabilities of the devices we use to utilize the field tools, drawings, submittals, RFIs, Observations, and Punchlist tools. Right now I have issues with publish no punchlist items, seems to be a glitch with the most recent post update. also, I cant navigate and see the full pages of the project specifications. Software has the cabilities to be great, please but the appropriate resources to increase better the Apple/iOS Application software.